At MAGVA Design + Letterpress we are happy to letterpress print your wedding stationery, personal stationery or your artwork.  Letterpress printing differs from other printing techniques and some factors should be considered when preparing artwork. To help you get the best results from your designs we recommend you follow our designing for letterpress guidelines. We look forward to hearing from you. Consult with us on the suitability of your artwork for letterpress printing. Sometimes modern designs exceed the limits of an old press and it takes revisiting the drawing board, most times a little tweak here and there will do the trick. Select your ink colours from the ‘Pantone Solid Uncoated’ colour swatch book. Don't use CMYK or RGB colours. Each colour requires a separate printing plate and pass through the press. The more passes, the greater the cost. Sometimes a plate with large solid areas combined with the fine type or artwork may require separate plates even when printing the same colour. Dark inks on light paper stocks work better than light inks on dark paper stocks. Ask someone to check your artwork for spelling and grammar, we will not be held responsible for errors on your part. Environmentally friendly, cotton and recycled papers are our preferred choice for letterpress printing. These papers are soft and pillowy and allow for the desired deep impression or bite of letterpress printing to be achieved. Harder papers where fibres are more compressed are not recommended and avoided by true artesian letterpress printers (they cause additional stress on the type, plates and antique equipment). If however, a kiss is the desired effect, then the harder papers can be used. Kissing is a delicate process where the print does not cause an impression. The bite does cause an impression and is a recent aesthetic of letterpress printing. We stock a collection of both commercial and Fair Trade handmade papers. Handmade papers are an ideal choice for a vintage or rustic texture, however, their weigh/thickness and shades cannot be guaranteed. Can I have a deep impression? Impression depths vary depending on paper stock. A heavy stock will take a deeper impression than a light stock. The paper may also buckle with a deep or heavy impression. We can print as deep an impression as possible without compromising the paper or quality of the print if that is the desired aesthetic. Will I see any show through or punch on the back? There will be some evidence of an impression on the opposite side of the paper stock. Where there is print on both sides we may adjust pressure and impression to achieve the best possible results. We may also suggest alternatives for elements of the artwork that overlap from front to back to avoid any flattening or bruising from one side to the next. We mainly use rubber based inks which dry by absorption. We hand mix our ink colours and colour match as closely as possible to your selected Pantone/colour. If prefer a specific Pantone this can be ordered at an additional charge. Please do not provide CMYK or RGB for colour matching. I don't have a Pantone book, What do I do? We can match from our swatch book to a colour of paper, fabric or cutting from a magazine provided by you. Letterpress printing traditionally uses 1 or 2 spot colours. The cost increases with each additional colour so it really depends on your budget. Can I print onto dark coloured paper? Letterpress printing’s strength is when dark ink is printed onto light paper. Light ink on dark paper is really best suited for engraving or foil stamping. Letterpress inks are more translucent than opaque and therefore tend to not print very well onto dark papers. It's like putting one coat of white paint onto a dark wall. However, sometimes this may be the desired effected but unless you 're 100% certain, then it's recommended to choose light papers. Can you print a large solid area? Large solids with letterpress do not print as well as other printing techniques. Letterpress printed solids look somewhat different and the paper tends to show through creating a slightly textured look that’s almost suede-like (which is beautiful). If you have a large solid and small text or fine detail artwork that is intended for the same plate/colour, it’s likely that we’ll need to expose two separate plates and to print these in two separate print runs. Extra print runs increase the cost of printing. NOTE - large solid areas can cause buckling of the paper, especially if using a thinner paper stock. As a consequence, the depth of the impression will be less noticeable. Does letterpress printing with no ink count as a colour? Yes. Letterpress printing without ink is known as ‘blind’ impression. Blind impressions (or de-bossing) do count as a colour. We can print on the flap of a ready-made envelope. Other areas of the ready-made envelopes can be printed on but show through may occur on the opposite side. All files must be vector (EPS) format for Adobe Illustrator or Adobe photoshop saved for version CS3 at 300dpi. All colours must be separated into different layers and named according to the Pantone reference for example ‘Pantone 513U’, if using a blind embossed i.e. no colour please call this layer ‘Blind’. Design(s) should be sized to the size it will be printed, add 5mm bleed on all edges and include crop marks. Please make sure all fonts are converted into outlines before sending your artwork file. NOTE - We will not be responsible for poor quality printing due to poor artwork, make sure your artwork is not pixelated unless this is desired. Do I need to create separate files for separate colours? No. We can do this for you. Send your artwork layered, do not flatten any layers. There is no need to send each colour as a separate file (or plate). Your artwork file should look as you intend it to be printed. How thin can my lines and strokes be? If your artwork contains any lines or strokes keep your line weight at least 0.35pt. minimum. This may need to be increased for any isolated lines. We can advise which weights to use depending on the artwork. What's the smallest size font you can print? For best results keep font sizes to 8pt or above. Depending on the font style we might be able to print smaller type. Some type styles may need an increase in the overall spacing or size should this be required we can discuss when reviewing the artwork. Where fonts are reversed out it is advisable to enlarge or use a bolder alternative to help avoid any ink fill-in. We will use our judgement and advise if any adjustment is required. We recommend that you use 12pt at a minimum depending on the typeface. Will my artwork be checked before printing? Yes, we will check your artwork files. We check dimensions, fonts and colours before proceeding to print. We do not check your design for choice of colours, grammar or spelling or placement of any element of the design. We will not be responsible for errors on your part so be sure to have your work checked by someone else, a fresh set of eyes goes a long way. If your artwork is not suitable for letterpress printing or your artwork is not a print ready file we will inform you of any changes required. If you are unable to make the changes required we can prepare the artwork file for you for an additional charge. At MAGVA Design + Letterpress we use either a platen letterpress dating from 1885 or a cylinder press dating from 1929. These presses are old and manually operated and each sheet of paper is hand feed onto the platen or cylinder and then pressed against the type or plate to create the printed piece. Letterpress printing is a craft and variations from one printed piece to the next may occur. Various characteristics such as impression, placement of image or type, and the intensity of the ink from one printed piece to the next, all combine to give each piece its own character and uniqueness. Please don’t ever expect 100% opacity on your letterpress print, especially if you have large areas of coverage and fine type on the same plate even if you have chosen a specific Pantone colour. If you want your prints to match EXACTLY, then letterpress may not be for you or your client.